Taking care of your roof and inspecting it from time to time is the best way to maintain your roof. Your roof is your protection from outside elements like rain, winds, hail, snow and extreme heat. This is why you need to make sure that they stay in their optimum shape and condition. Moss grows and thrives in damp and dark areas. The problem of moss growth will be severe especially on areas that are constantly exposed to humidity like your roof. They grow on different kinds of roofs and are not just some cosmetic problem that can be addressed easily. They hold extra moisture for a longer time than other unaffected parts of the roof. This then speeds up the wear of any roofing material. Therefore, moss reduces the lifespan of your roof and contributes to the weakening of your roof, especially your roof shingles. Algae also thrives in damp and shaded areas. It usually grows on the north side of your roof, which does not receive so much sunlight. The black streaks you see on your shingles are most probably Gloeocapsa Magma, a type of algae which is spread easily through airborne spores. 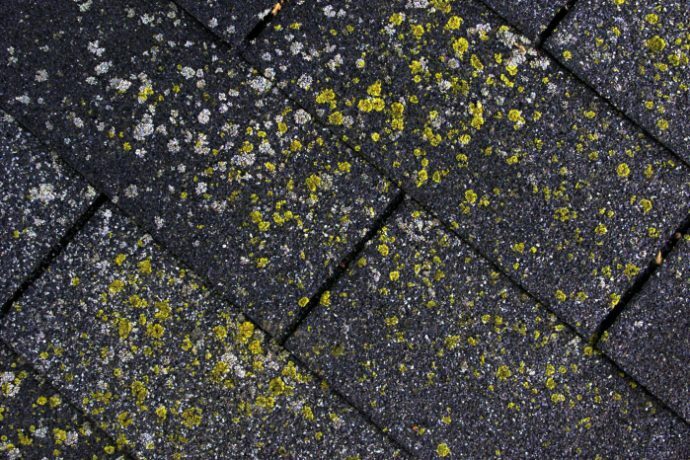 Because of this, algae can easily affect other roofs in your neighborhood, too. Initially, algae is merely a cosmetic issue, its presence and growth on your roof for a long time can pose moisture retention problems that will eventually wear down your roof. Broken branches from trees that fall on your roof may cause severe damage. Leaves and debris from trees may clog your gutters, which can cause water to seep into your roof. During a storm, strong winds may potentially hurl tree branches on your roof that will cause damaged shingles. Strong winds and hail stones can weaken parts of your roof. They can dent gutters, downspouts, roof vents and shingles. These weakened parts may hold rainwater and moisture that will eventually damage your roof. Ice dams or ice build-ups are formations of ice humps on the edge of your roof. Melted water from ice dams can seep into your roof and can damage your ceilings, walls and other areas of your home. Are you dealing with roof damage and need immediate roof repair or roof restoration? You need to address roof problems immediately to avoid further damage. If you need help assessing and solving your roof problems, contact a reliable roofing company as soon as you can.